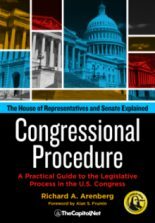 The United States Congress consists of two separate legislative bodies: the House of Representatives and the Senate. Jointly these two separate legislative bodies are referred to as “Congress”. In some documents and usage, these two separate bodies are referred to as “the two Houses of Congress” or “both houses of Congress”. When referring to both bodies, we prefer to use “chamber” rather than “house”, thus, “two chambers of Congress” or “both chambers of Congress”. Also see “A Note About Usage: ‘Congress’“. 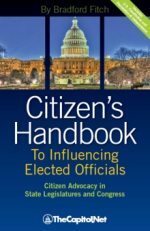 At the national level there is only one legislative body formally known as the “House” and that is the U.S. House of Representatives. Currently the House has 435 members, and its members are called “Representative” (Rep.) or, colloquially, “Congressman” or “Congresswoman”. Currently, there are 100 members of the U.S. Senate, and each member is called “Senator”. 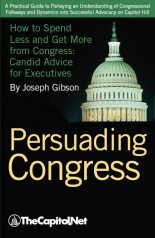 For the major differences between the House and the Senate, see CongressByTheNumbers.com. A “term of Congress” or “a Congress” lasts for two years, and begins on January 3 of each odd-numbered year. 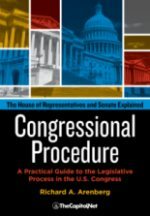 A “session of Congress” is generally one year long, and is the period during which Congress assembles and carries on its regular business. 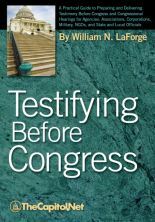 Each Congress generally has two regular sessions (which are referred to as “1st” (I) or “2nd” (II)), based on the constitutional mandate in Article. I. Section. 4. that Congress assemble at least once each year. The Clerk of the House has a list of all session dates of Congress as part of House History. 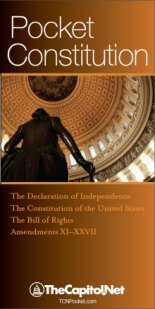 Also available: table showing all sessions of Congress for the 1st Congress through the 112th Congress (through September 15, 2011) as an 18-page PDF . Being “in session” refers to when Congress is meeting during the session. The Legislative Reorganization Act of 1970 requires Congress to adjourn sine die no later than July 31 of each year unless there is a declared war, or unless Congress otherwise provides. In odd-numbered years, the Congress must take an August recess if it fails to adjourn by July 31. Since 1934, the first session of a Congress convenes on January 3 of odd-numbered years. 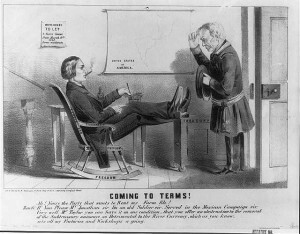 Generally speaking, today the first session of a Congress concludes in November or December of that odd-numbered year, and the second session of a Congress begins in January of each even-numbered year and concludes in November or December of that even-numbered year (or as late as January 3 of of the following odd-numbered year, when the next Congress is seated). Neither the House nor the Senate may adjourn for more than three days (excluding Saturdays, Sundays, and holidays) without the concurrence of the other chamber. Also see Mid-Term Election; Reapportionment / Redistricting; and Senate Classes: Terms of Service. For federal holidays, see OPM.